Trump Old Post Office, Donald Trump’s luxury hotel being built inside the Old Post Office Building at 1100 Pennsylvania Ave. NW, filed a breach of contract lawsuit Friday against ThinkFoodGroup and Topo Atrio, presumably the restaurant group’s planned flagship restaurant in the forthcoming hotel, after chef José Andrés backed out of the deal July 8. The suit filed in the U.S. District Court for the District of Columbia seeks $10 million in lost rent and other damages. Andrés and Iron Chef Geoffrey Zakarian both dropped plans for restaurants in the hotel after Trump, a Republican who is running for president, called Mexican immigrants drug peddlers and rapists in a campaign speech on June 16. 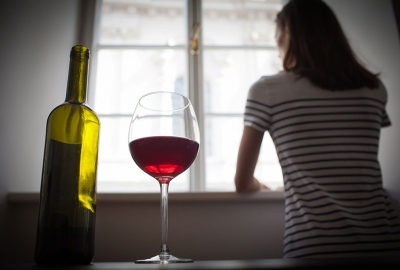 Zakarian was not included in Friday’s lawsuit. 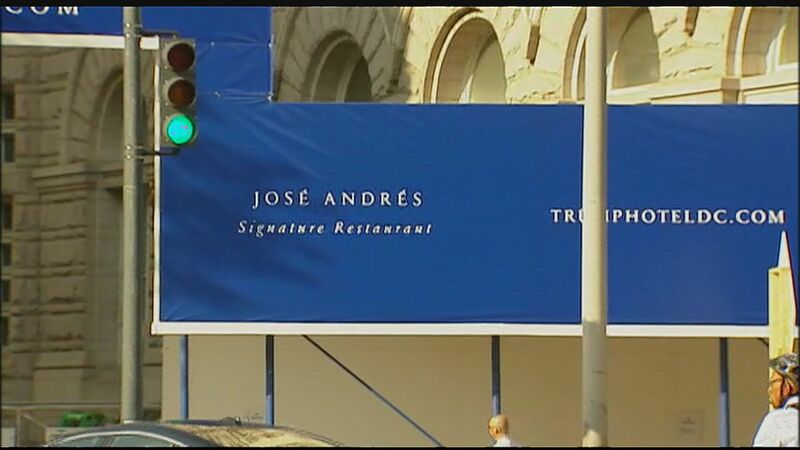 “Donald Trump’s recent statements disparaging immigrants make it impossible for my company and I to move forward with opening a successful Spanish restaurant in Trump International’s upcoming hotel in Washington, D.C,” Andrés said at the time. 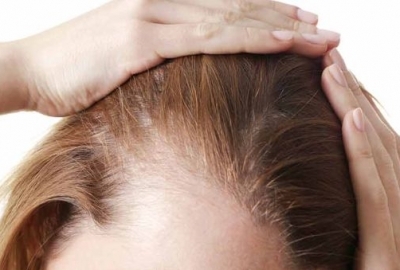 “More than half of my team is Hispanic, as are many of our guests. And, as a proud Spanish immigrant and recently naturalized American citizen myself, I believe that every human being deserves respect, regardless of immigration status.” Andrés became a U.S. citizen in 2013. According to the lawsuit, ThinkFoodGroup sent a notice on July 17 alleging that, as a result of the content of Trump’s speech, the landlord had “constructively evicted” them and “violated the covenants of quiet enjoyment and good faith and fair dealing.” It also says ThinkFoodGroup demanded that Trump recant his opinions and ensure they weren’t repeated, restated or further disseminated. According to the document, ThinkFoodGroup was obligated to deliver 90 percent of construction documents by June 29, but did not. The Trump organization claims not having the restaurant open or undergoing construction as will now be required will harm the hotel. 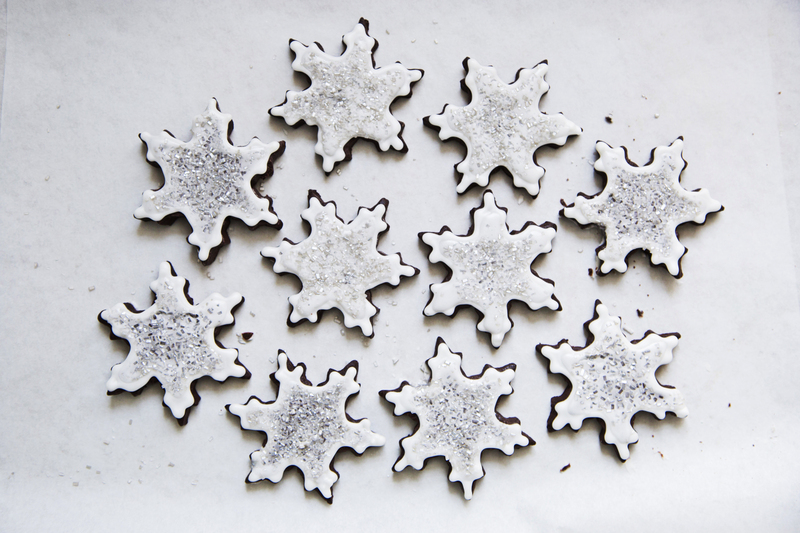 To help take the edge off this summer’s heat, pastry chef and RareSweets owner Meredith Tomason is celebrating Christmas in July from July 29-Aug. 1. The bakery, located at 963 Palmer Alley NW in CityCenterDC, will be festively decorated and playing holiday music. Special holiday items available through Saturday include ginger and lemon cake, $5.50 per slice; hot cocoa with marshmallows over ice, $3.50; eggnog ice cream, $3.40; chocolate snowflake cookies, $2.50-$3; and summer vacation elf cookies, $2.50-$3. The holiday items are only available in the store. Aug. 16th is National Rum Day, and Cuba Libre Restaurant & Rum Bar, 801 Ninth St. NW, is celebrating with specials all month long. From Aug. 1-31 during lunch, dinner and weekend brunch, Cuba Libre will offer three new rum flights: a Cuba Libre Flight; a Rum Room Favorites Flight and a Whiskey Lovers Flight featuring .75-ounce pours of three curated rums, priced from $12 to $23 each. The Cuba Libre Flight includes the “Original” Cuba Libre made with Bacardi Gold Rum, Coca-Cola and lime; the Cherry Cuba Libre with Bacardi Torched Cherry, Coca-Cola and lime; and the Coconut Spiced Cuba Libre with Blue Chair Bay Coconut Spiced Rum, Coca-Cola and lime. The Rum Room Favorites flight includes Pyrat XO from the West Indies made with an amber rum blended in Guyana with Demerara and other Caribbean sugars; Flor de Caña 7 Year from Nicaragua with notes of almond, smoke, brown sugar, coffee and vanilla with a mild cinnamon spice; and El Dorado 15 Year from Guyana with a blend of aged rums at least 15 years old. 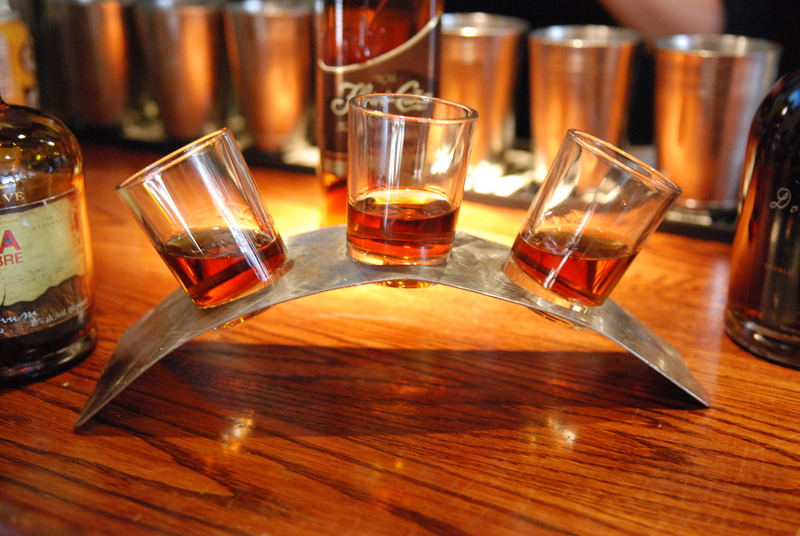 The Whiskey Lovers flight includes Ron Matusalem 15 from the Dominican Republic; Cruzan Single Barrel from the U.S. Virgin Islands; and Zaya Gran Reserva 12 Year from Trinidad, a blend of three to five rums sourced from Trinidad and Tobago. On Sunday, Aug. 16, Cuba Libre will host a Rum Day Sunday Funday with half-pride rums. The special offering will be available only in the bar and lounge during happy hour from 5-7 p.m. Cuba Libre’s has over 90 premium and flavored varieties from Guyana, Haiti, Nicaragua and Tortola. Rums are priced between $8 and $84 per shot. In conjunction with National Farmers’ Market Week, which is Aug. 2-8, Chipotle Mexican Grill and ShopHouse, Chipotle’s Southeast Asian concept, are teaming up with farmers’ markets in the DMV to support the efforts of local farms. 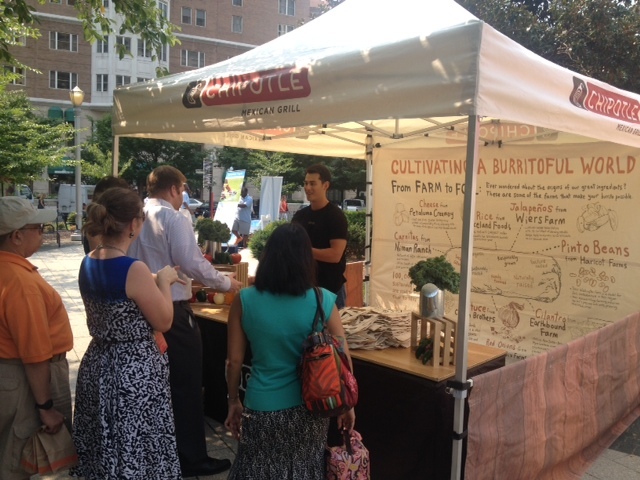 On Aug. 2 Chipotle will host a tent at the Dupont farmers’ market at 20th Street NW between Massachusetts Avenue and Hillyer Place from 8:30 a.m.-1:30 p.m. To encourage shoppers to support their community’s farmers’ market, Chipotle will be offering free tokens redeemable for $5 worth of fresh ingredients at the market on a first-come, first-served basis. Chipotle will also be on-site offering additional $5 vouchers at the Crystal City farmers’ market on I Street NW between 10th and 11th Streets on Aug. 4 from 3-7 p.m.; at rhe Foggy Bottom farmers’ market at 23rd and I Streets NW on Aug. 5 from 3-7 p.m.; and at the Silver Spring farmer’s market at Ellsworth Drive between Fenton Street and Georgia Avenue on Aug. 8 from 9 a.m.-1 p.m.
ShopHouse with join Chipotle at the Foggy Bottom market from 3-7 p.m. on Aug. 5 giving out coupons for free bowls, and will be at the Penn Quarter farmer’s market on Aug. 6 from 3-7 p.m. giving out the $5 vouchers. The Latin-Asian inspired Zengo, 781 7th St. NW, 20001, has launched a new summer lunch special. Throughout August, guests who dine at the restaurant four times will receive their fifth meal free with the new loyalty card program. The special applies only to the bento box lunch, which offers four different bento box options. The boxes are available from 11:30 a.m.-2:30 p.m. Monday through Friday. Bento boxes are also available for delivery in Washington, D.C., through the Caviar delivery service. Zengo’s express lunch features the #1 entree bento box, priced at $15.50, which includes a choice of tandoori chicken with achiote marsala marinade; crispy catfish with Chinese black bean and sweet chile sauce; crispy tofu with lemon togarashi aioli and sweet chile sauce, or the rotating special, which includes the chef’s entrée of the day, wok tossed vegetables and vegetable fried rice. The #2 sandwich bento box, priced at $13.50, includes a choice of grilled chicken torta with achiote marinated chicken, guacamole black bean puree, pickled onion and lettuce; or crispy catfish Sandwich with aji amarillo tartar sauce, lettuce and tomato, accompanied with fries or green salad. 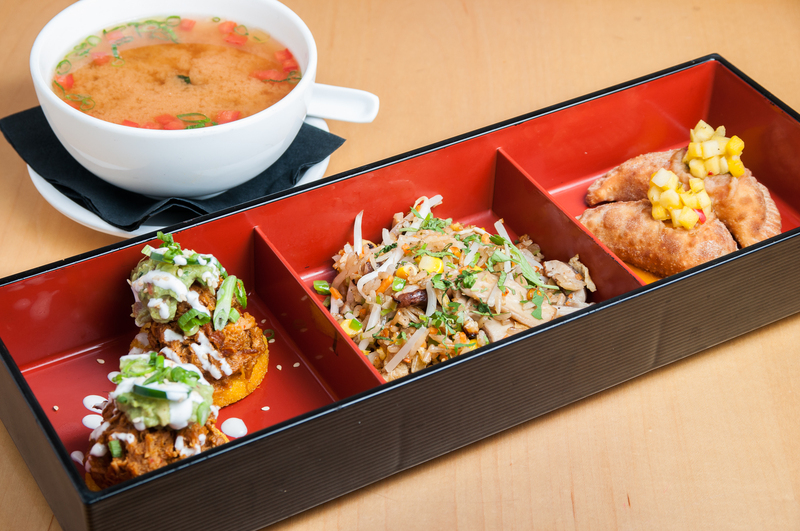 The #3 dim sum bento box, priced at $13.50 includes a choice of two Thai chicken empanadas with chile poblano, Oaxaca cheese and mango curry salsa; or two achiote pork arepas, corn masa with avocado and crema fresca, served with miso soup and vegetable fried rice. The #4 sushi bento box, priced at $12.50, includes a choice of the Angry Zengo Roll with spicy yellowfin tuna, avocado, cucumber wasabi tobiko and chipotle rouille; or the vegetarian roll with asparagus, red pepper, avocado, mushroom and lemon-sake aioli served with miso soup and papaya salad.